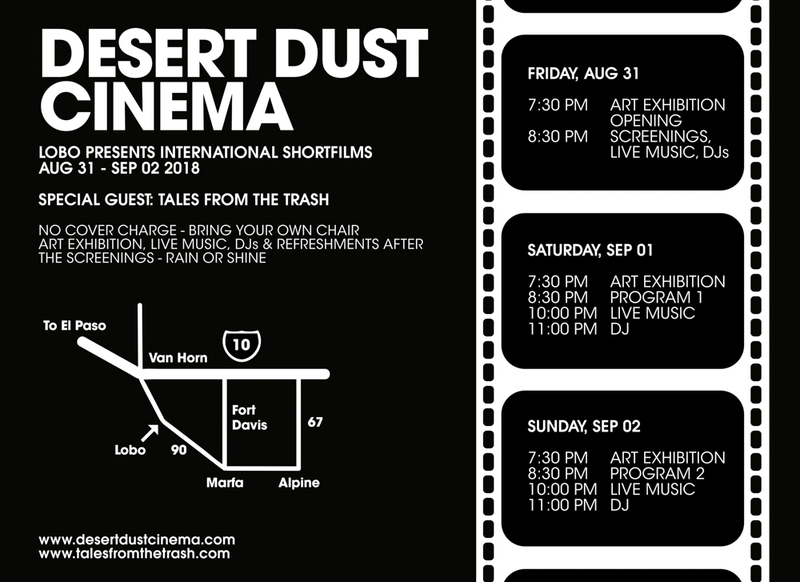 The ghost town of Lobo, Texas will be host to a three-day film festival with live music, DJ’s and a Tales From The Trash Art Show, presented by Desert Dust Cinema on Friday, August 31 to Sunday, September 2 (Labor Day Weekend). Every 2 years, the ghost town of Lobo is transformed. The owners arrive, turn on the power and water, clean up any damage caused by nature and host a weekend of music, film and art known as Desert Dust Cinema. Lobo is a very small desert town in west Texas that was abandoned by its last residents in 1991. Ten years later, three desert-loving individuals and some of their friends started the process of rebuilding the former ghost town. Along with the work of reclaiming the houses, the motel (and its great pool), the town hall and the former gas station, their goal was to make Lobo a meeting place for all the people in the area. In the last few years, several nonprofit art, music, and just hang-around-in-the-sun related events took place that are still fondly remembered by its participants. 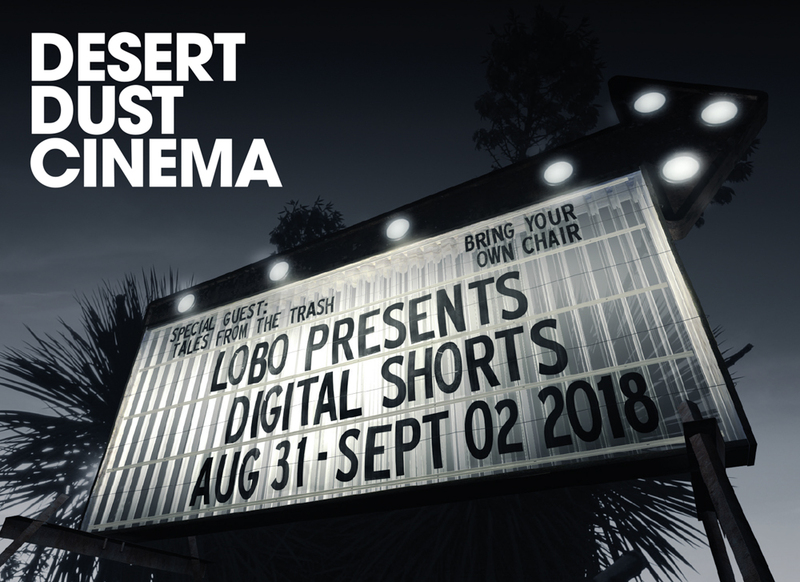 During the days of the Desert Dust Cinema Festival, our small town wants to create a unique atmosphere for anyone interested in today’s wide range of short films. Of course, Lobo does not have what others may call a typical cinema venue, but we will do our best to make this location and the festival a special one. Lobo is located on Highway 90, 16 miles south of Van Horn. You can find more general information about Lobo, past activities and more at www.lobo-texas.com or www.desertdustcinema.com.